Kenneth B. Brown, CMA, CPA, NC Certificate # 20166, (Managing Partner) – began his career at Dixon, Odom & Company (currently Dixon Hughes, PLLC) in 1989 after attending Wake Forest University and UNCG. Mr. Brown practiced in the audit division of Dixon Odom’s Headquarters in High Point, NC. In 1994, he ventured out to start his own CPA firm. In 1996. he merged his practice with Charles Jenkins, CPA to form Brown Jenkins & Company, PA that later became Brown Jenkins & Oneyear, PA. Mr. Brown handles the management of Brown Jenkins & Oneyear, PA as well as practicing in the areas of taxation, audit, review and compilation services. He works closely with business owners to balance the financial statement and tax aspects of their businesses. He is a Certified Public Accountant and a Certified Management Accountant and a member of the AICPA, NCACPA and the IMA. Mr. Brown enjoys being involved in his church and community. Rebecca A. Oneyear, CPA, NC Certificate #26136 (Managing Partner) graduated from Western Illinois University in 1993 with a Bachelor of Business degree in Accounting (along with a minor in management). She received her CPA license in 1998. After graduation Becky worked in the banking corporate world getting experience in the trust tax department for two years. 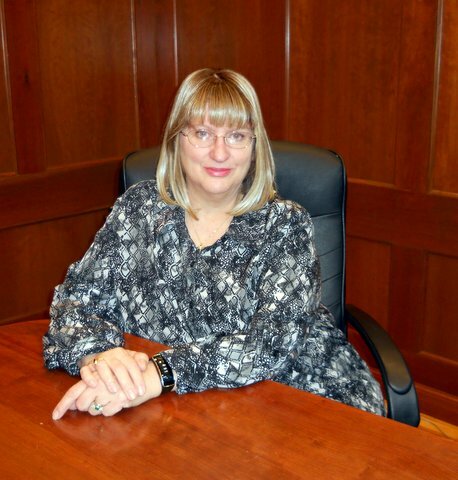 She joined Brown Jenkins & Oneyear, P.A. in 1996 and became a named partner in 2008. During her time here Becky has worked on tax returns, audits, reviews, and financial statements as well as becoming a Certified QuickBooks ProAdvisor. Her managerial responsibilities include day to day oversight of the staff and computer operations. She is a member of the North Carolina Association of Certified Public Accountants. 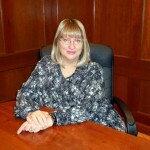 Pam Parrish, CPA, NC Certificate # 23845, joined Brown Jenkins & Oneyear, PA in 2008. She has worked in public accounting since the mid 1980s, starting as a paraprofessional bookkeeper before completing her Bachelor of Science degree in Accounting at High Point University’s Evening Degree Program. She graduated in 1996 and became a CPA the same year. Pam has experience in corporate, partnership, individual, estate and trust tax returns, compilations, bookkeeping, payroll taxes and assists many of our clients with their QuickBooks questions. Pam is a member of the AICPA and the NCACPA. She lives in Advance with her husband, Bill, and is active in her church and in animal rescue. Timothy Smith, CPA, NC Certificate # 13369, received a bachelor’s degree in Business Administration with a concentration in accounting from the University of North Carolina at Chapel Hill in 1979. He is a member of Beta Alpha Psi, an honorary and professional accounting fraternity and Beta Gamma Sigma, an honorary business fraternity. He passed the CPA exam in November of 1979 and received his CPA certificate in 1982. He is a member of the North Carolina Association of Certified Public Accountants and the American Institute of Certified Public Accountants. From 1979 to 1981 he worked as a staff accountant for Strand, Skees, Jones and Company in Greensboro. He worked for D. E. Gatewood and Company in Winston-Salem for 25 years as a tax manager and then joined Brown Jenkins and Oneyear, P.A. in 2006. Emily Wan, staff accountant, joined the firm of Brown Jenkins & Oneyear, PA in 2009. She holds a Bachelor of Science degree in Accounting from California State University, Hayward. She has been an Enrolled Agent since 2001. Her fifteen years of public accounting experience includes corporate, LLC, partnership and individual tax returns and compilations. She has extensive tax experience in helping small business.